Include as much detail as possible so your kids know it's from Santa himself! 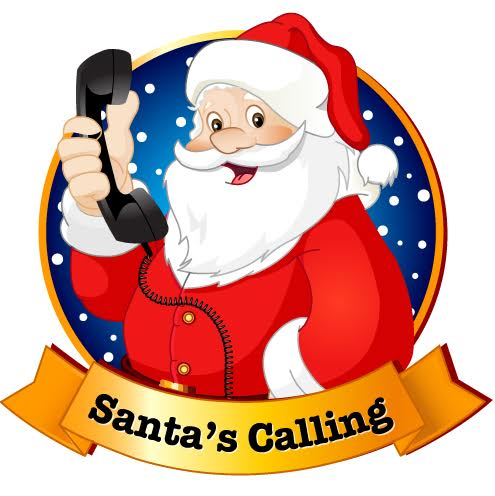 Custom voicemails from Santa are $50. You can pay via PayPal link below. Santa must receive payment before recording message. You can submit a request for a message until December 21st. All messages will be emailed to you by Christmas Eve. ​ Each voice-mail is one of a kind and created specially for you child. Messages will be at least 30 seconds long and will be filled with as much detail as you can provide. Santa will try his best to convey the message you request, but please keep in mind that he always tries to keep things positive – he does represent the “Spirit of Christmas” after all! Anything else Santa needs to know?